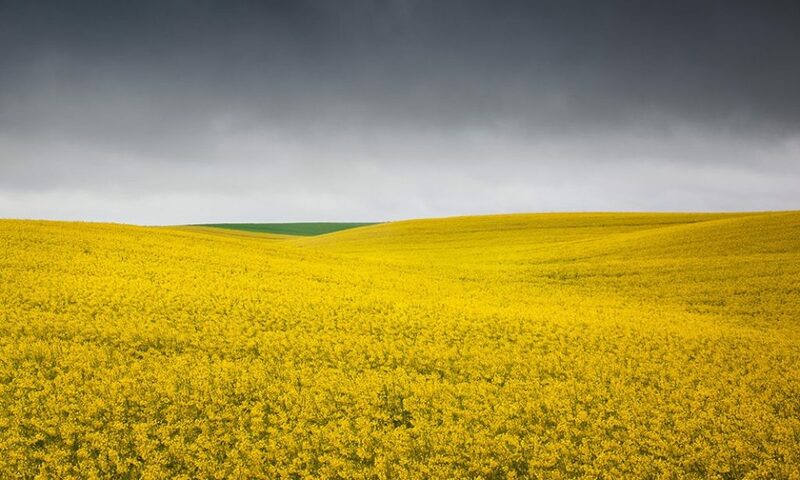 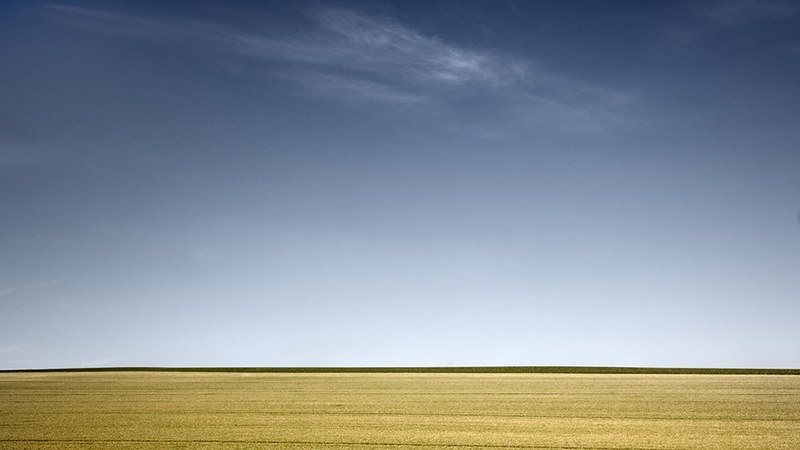 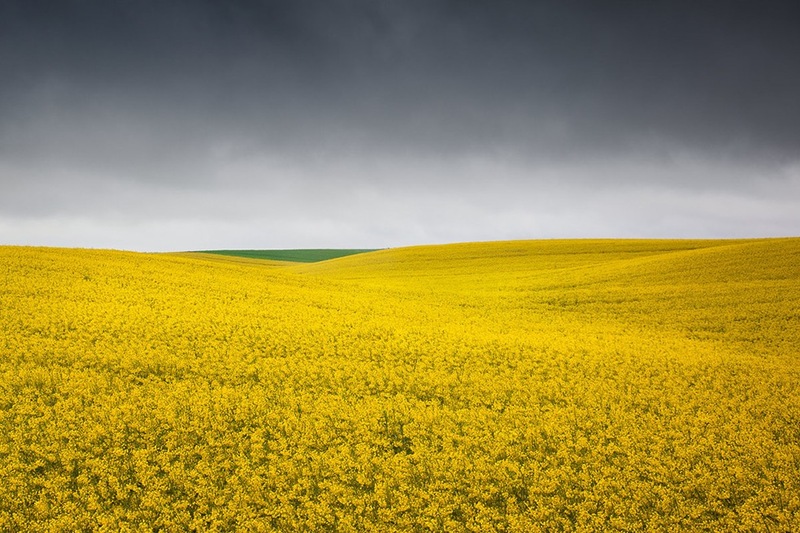 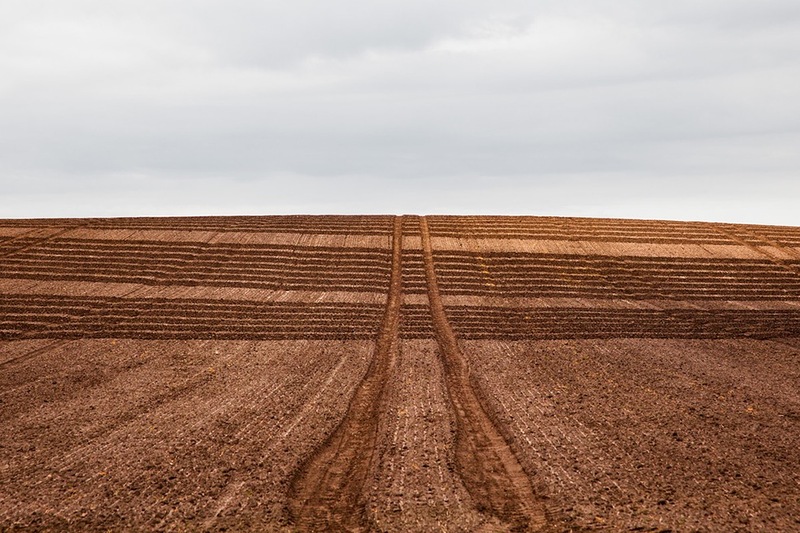 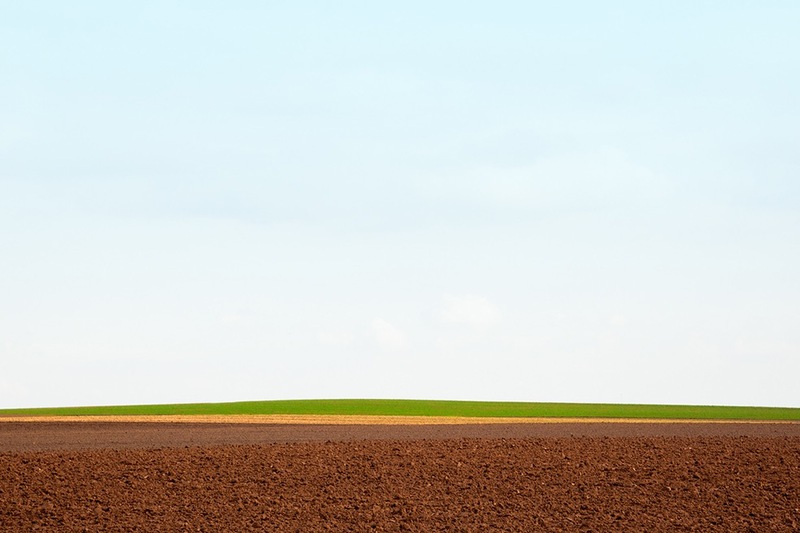 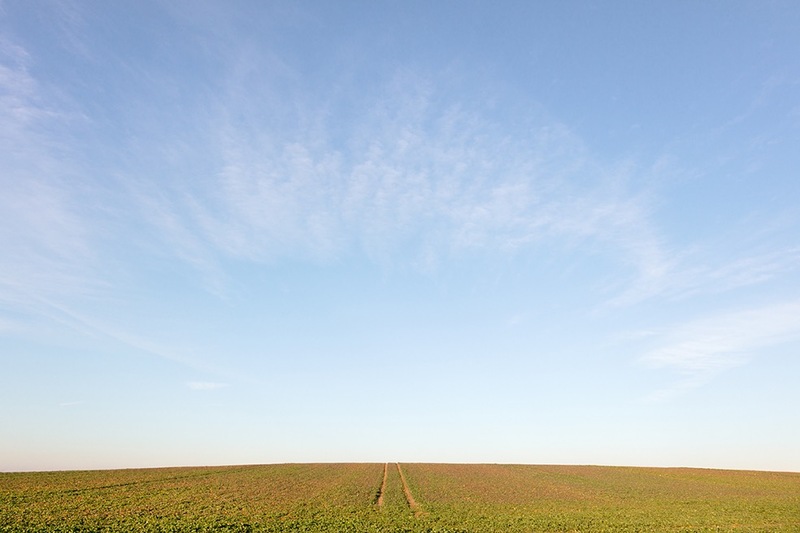 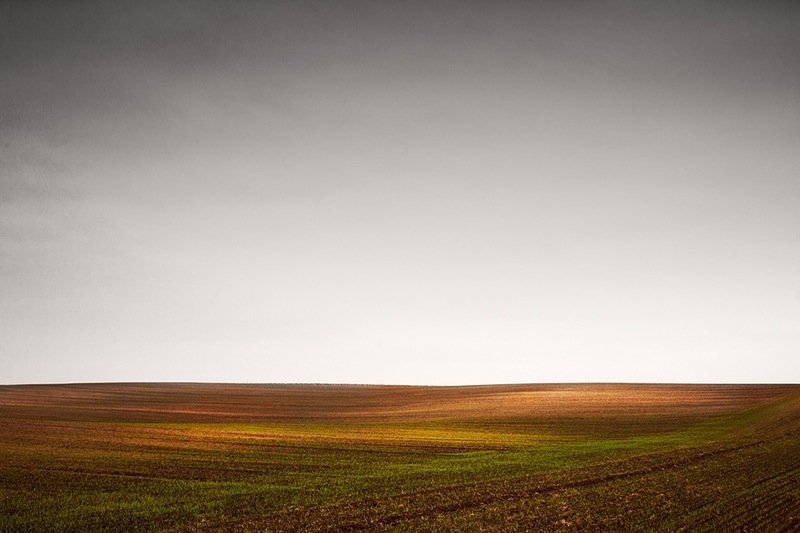 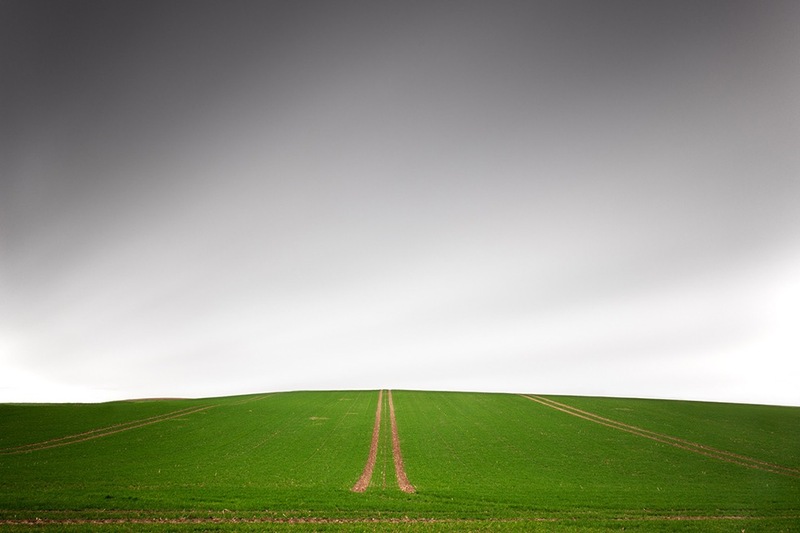 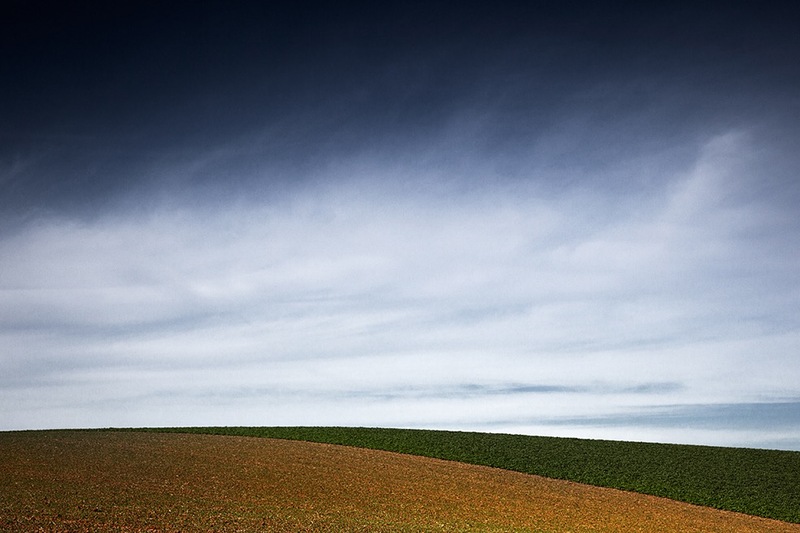 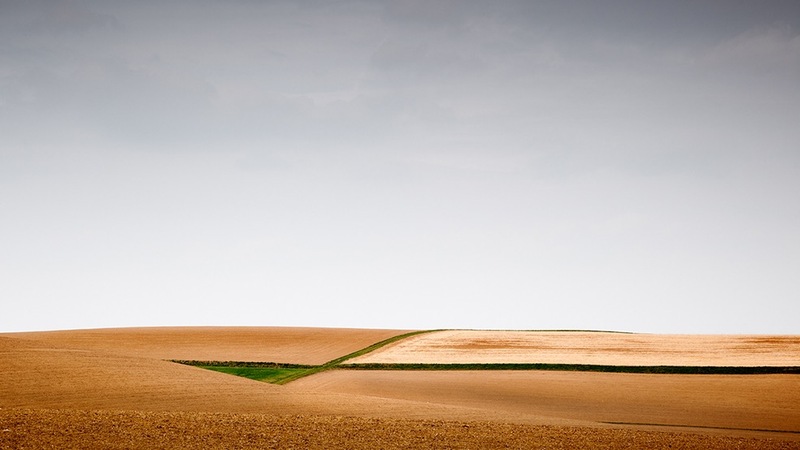 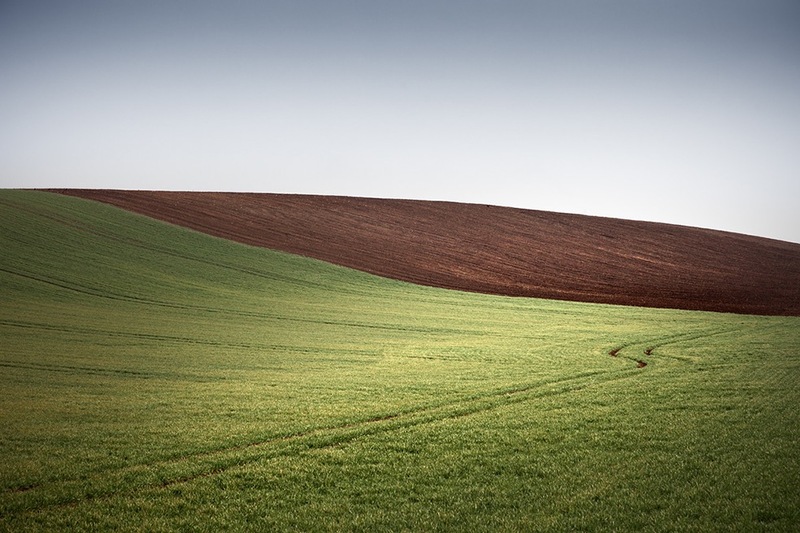 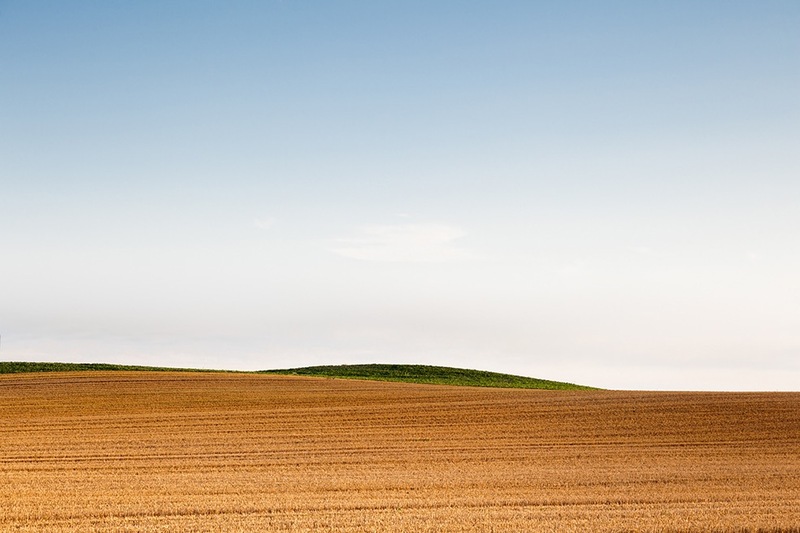 Says Bernd: This series of minimalistic images is from my landscape project Rural Areas. 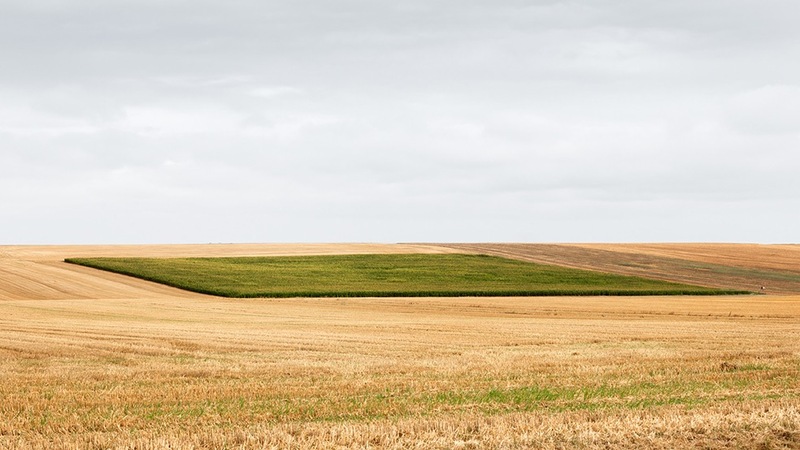 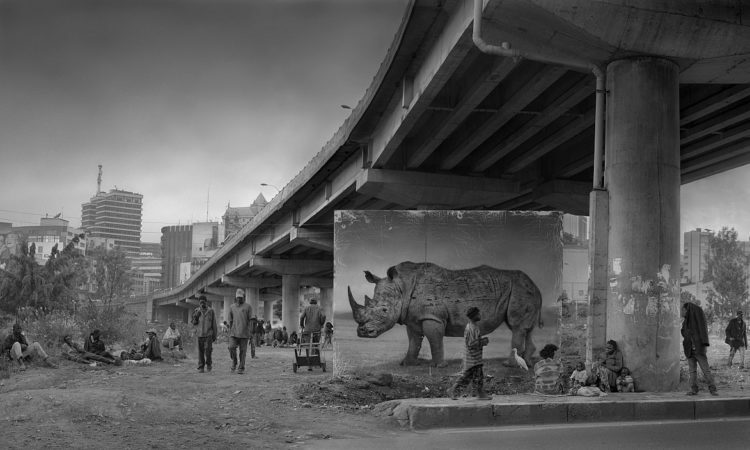 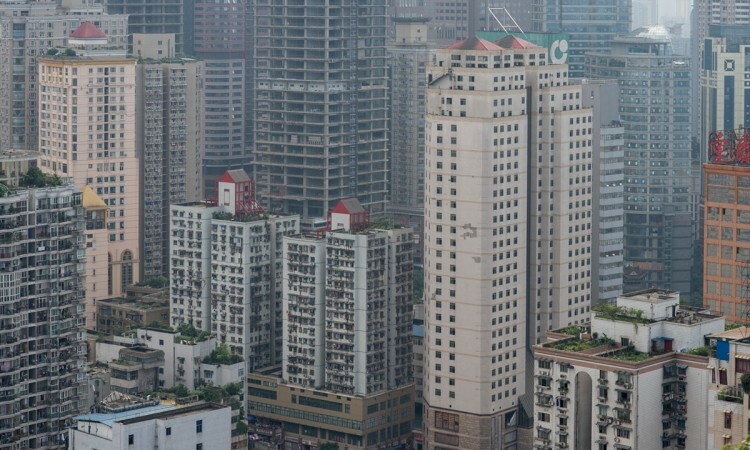 In our western world natural landscapes are shrinking and we experience the evolution of humanly transformed landscapes devoid of their natural biodiversity. 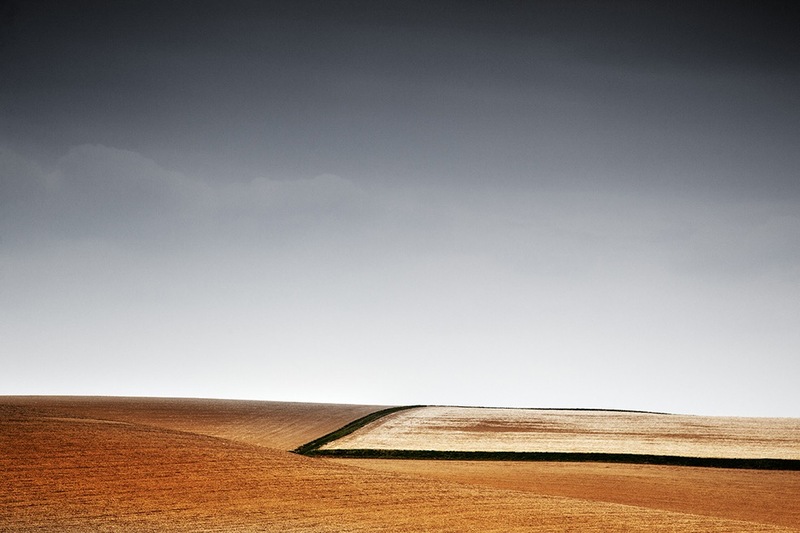 Agricultural landscapes with their often vast fields appear boring and unattractive. 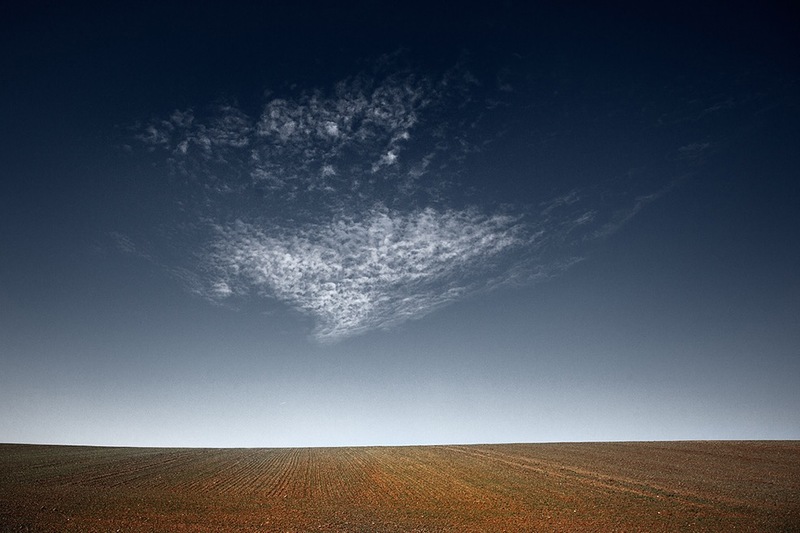 But they my show a hidden charm for all those who enjoy the emptyness of open landscapes, a high sky, the geometric pattern of linear textures and the aesthetics of a geometrich patchwork of colors.